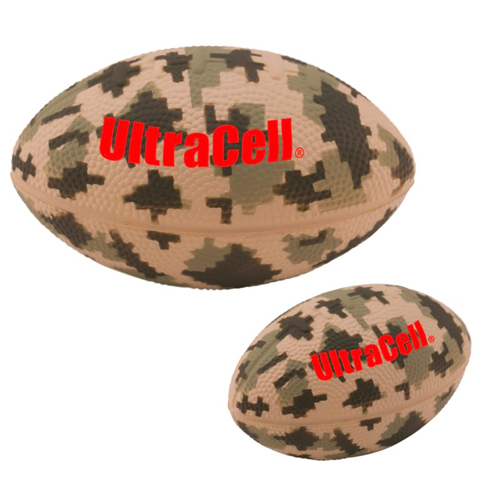 Digital Camouflage Football Stress Reliever - 5"
Large football stress toy with digital camo / military stock art pre-printed on every piece. 5" W x 3" DIA. Bulk / 12 lbs / 100 pcs. / 20x16x16box.